Promotional sales. Almost every dealership has them. Their purpose? To spark more deals and bring more customers onto the lots, of course. But Edmonton-based Go Auto is changing the game a bit. The dealer group has launched a sizeable auto promotion: the Car-A-Day Giveaway. During the Car-A-Day Giveaway — which began April 9 and will run through May 8 — 30 customers will win 30 vehicles in 30 days. How does it work? Simply put, anyone who buys a vehicle from a Go Auto location has a change of winning their purchase the very next day. Go Auto pointed out that since customers are entered the day they buy, the odds are great. Promotions like these are quite common among automakers, but are rarely seen to this level among independent dealers. Kia, for example, gave away 60 cars at the end of 2013. At the time of the announcement in mid-April, Go Auto has already given away a $35,000 Nissan Titan, a brand new $45,000 2014 Infiniti Q50, and several other vehicles to customers across Alberta and British Columbia. 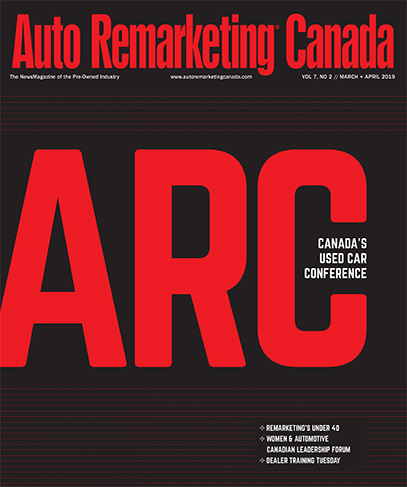 "We have 15 brands participating and more than 7500 vehicles eligible to be won," said Ben Cochrane, Go Auto's vice president of marketing. "So no matter what you're looking for, there's a good chance we'll have it." Interestingly, Go Auto customers aren’t limited to specific brand or price. New or used, luxury or rugged, anything goes, says Go Auto officials. Go Auto President Jared Priestner commented on the news, as well, noting, "Any car-a-day giveaway you've seen has been executed by a manufacturer, like Kia, and across an entire country. "Go Auto, comparatively, operates on a much smaller scale, which changes the dynamics to an extraordinary degree. To give you an idea of how spectacular the odds are for our customers, we're projecting one winner for every 125 or so purchases. That's unheard of,” he included. Preistner explained the giveaway is a way of saying “thank you” to the thousands of customers who do business with the dealer group every year. "No matter what happens over the next month, we're going to give 30 people an experience they'll never forget," Priestner said. "We couldn't be more excited about it." See all the daily winners at www.goauto.ca/caraday.